Medium sized, compact rounded evergreen with deep green leaves. 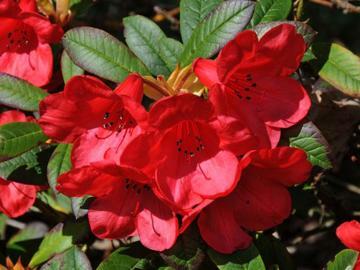 Masses of bright-red funnel-shaped flowers in April or May. Moist, well drained acidic soil. Best in part shade, colour may fade a bit in full sun.